Toyota is finalizing plans on a luxury coupe that may go by the name LC 550 (Luxury Coupe), based on many elements from the LF-LC concept. This exotic premium AWD will most likely share the LS chassis and price category. 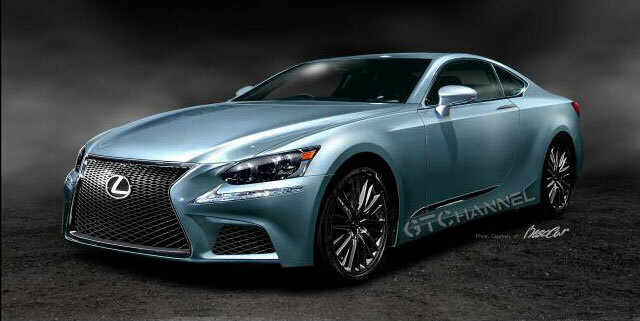 Drivers will have a choice between a 4.2-liter V-8 gasoline engine or a hybrid version utilizing the LC 600h. This coupe is expected to produce about 500 bhp and go zero-to-60 mph in under 5 seconds. Pricing is expected to be in the $100,000-plus neighborhood. This reads like pure speculation for the most part — for instance, Lexus has been consistent in numbering their models after engine displacement, making a LC 550 with a 4.2L V8 an unlikely combination. Look for the third generation of the SC (Sport Coupe) to be built on the GS platform in a V-8 powered model and V-6 Hybrid. The two-door version of this 2+2 will most likely go by the name of SC 450. While I hold out hope that the SC badge will be revived one day, it’s more likely that Lexus will be using the RC designation after trademarks were filed in Australia & the USA late last year.